The author introduces us to a little boy named Ivan Joe who has gone for a row. On the way he meets several animals who need a ride, a cat, monkey, panda, and turtle. As each of them hops in, Ivan urges them to sing the tune, “Row, Row, Row Your Boat.” When he arrives home, his mother is surprised to see that he has made so many new friends. Ivan reminds her that it was easy because all you need to do is help people in need. The illustrations here are bold, distinct and colorful allowing for the youngest child to read the book through the pictures. The rhyme works well for the most part, though near the end of the story it appears forced at times. Children will learn the value of helping those in need. This tale is based on a familiar theme; appearances can be deceiving. Poor Sammy the Shark is a really friendly fellow who swims all around the protected sea sanctuary trying to make friends with the other sea creatures. He speaks to Patty the Puffer Fish, Otto the Octopus, Chris the Crab, and Tubbs the Turtle, but all of them are put off by Sammy’s mean looks. Then one night some fisherman, who are criminals trying to fish in the protected waters, drop a huge net trapping all the sea creatures except Sammy. The shark uses his talents to free the other sea animals. Will the fishermen be apprehended? 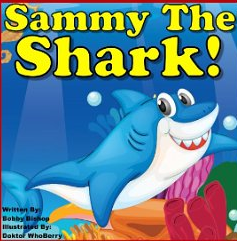 How will the sea creatures react when they learn that it is Sammy who has freed them? 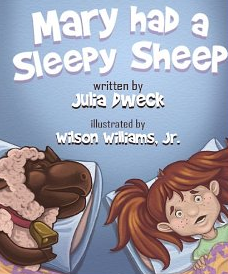 Children six and under will love the beautiful colors of the illustrations and simple text of the story line. They will also learn not to judge a book by its cover. Both of these books include a variety of bonus features. 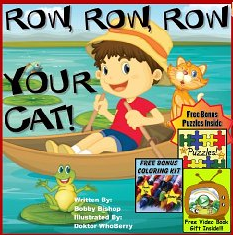 The reader is given a link to download a free story video, online puzzles, a free puzzle kit and a free coloring book. Certainly another incentive to enjoy Bobby Bishop’s children’s books and reinforce their lessons. If you enjoyed this post, please subscribe by clicking on the word Follow or by hitting the orange RSS feed button in the upper right hand corner of his post.